100% organic, high welfare and great value. 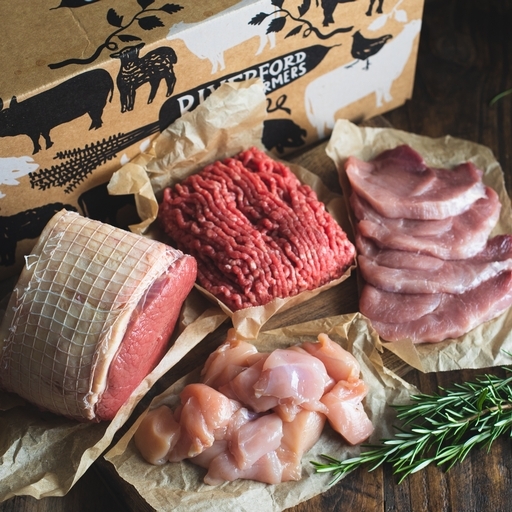 We fill the boxes with organic meat from a small group of Westcountry farmers and choose the cuts to give you a good variety every week. 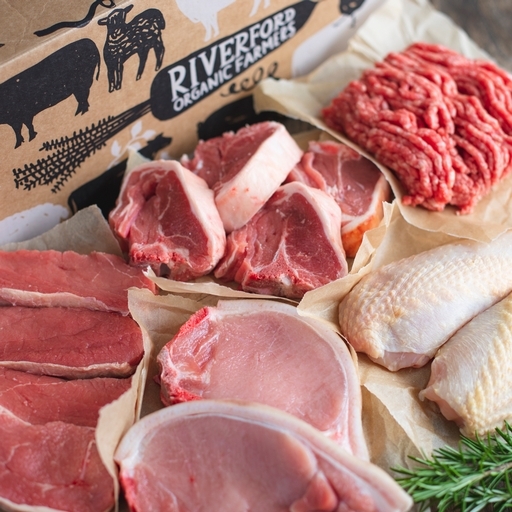 Everything is prepared here in the Riverford butchery and packed in insulated packaging to keep cool on your doorstep, so there’s no need to be in. Delivery is free. 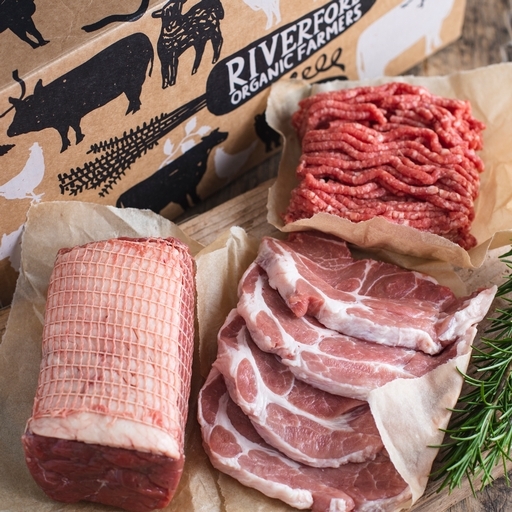 A brilliant way to have your organic meat delivered.